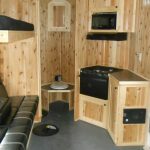 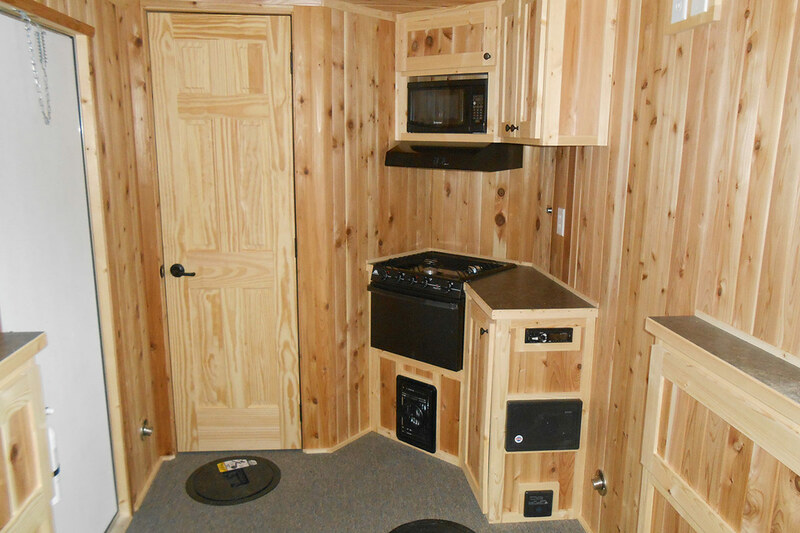 Carpet flooring, small radio with two speakers, kitchen with 2 burner cooktop, microwave and more! 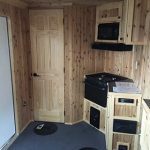 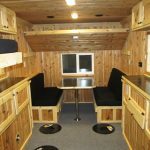 Includes: kitchen with range, hood vent, microwave, fridge, 48″ dinette with bunk above, 70″ Couch with bunk above and more! 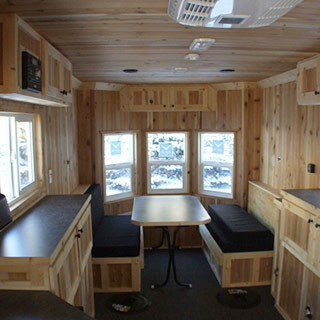 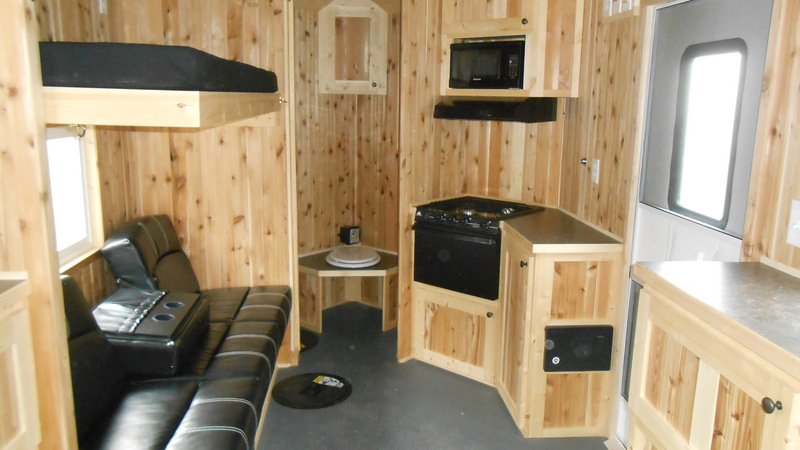 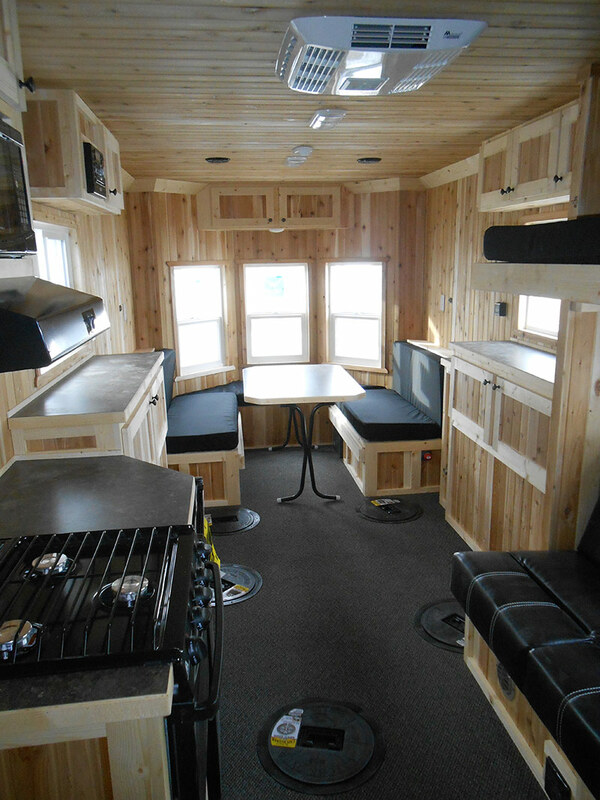 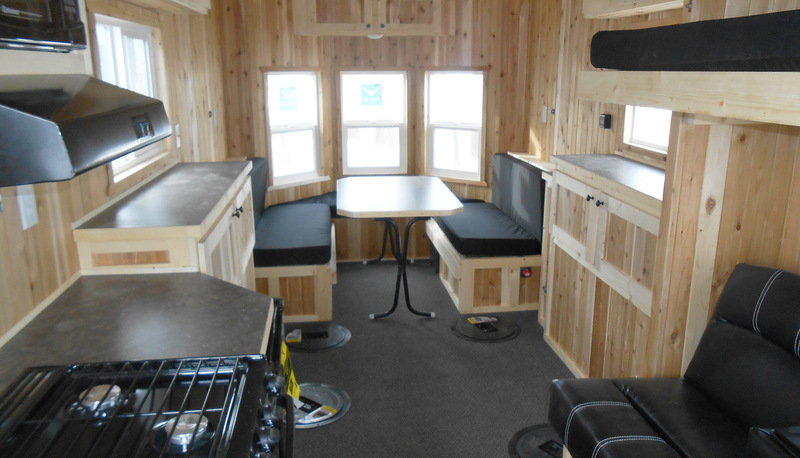 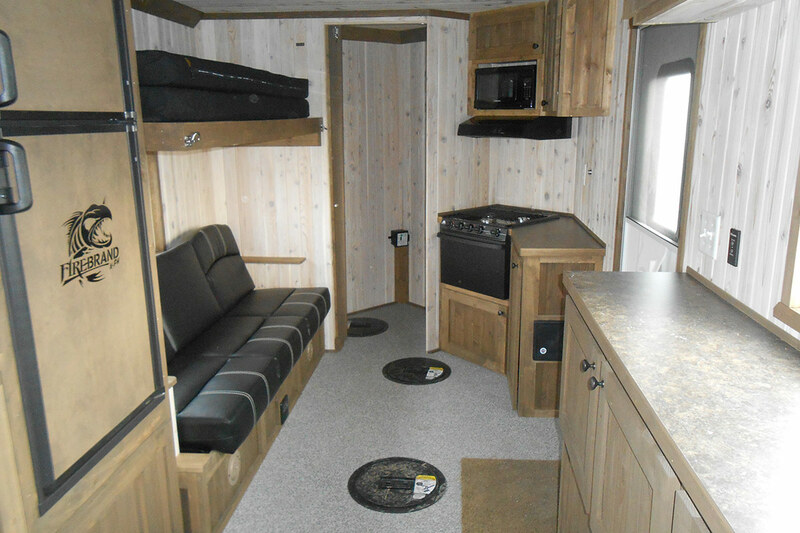 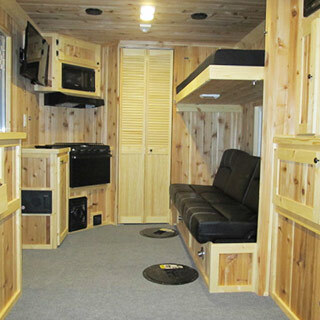 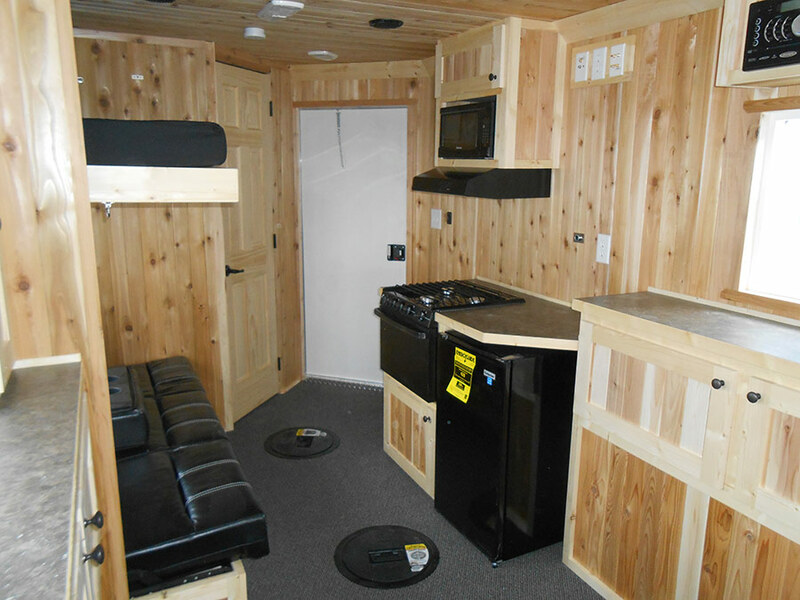 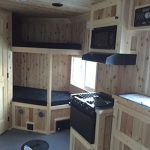 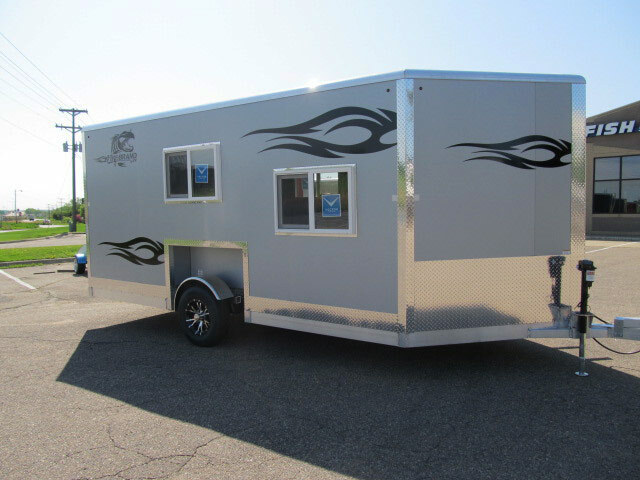 Features: Kitchen with 2 burner cooktop, carpet flooring, 48″ dinette with bunk above, two pencil bunks in V and more! 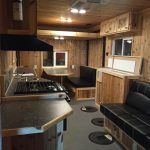 Features: kitchen with range, hood vent, microwave, carpet flooring, 70″ couch with bunk above, DVD/radio combo player with four speakers and more! 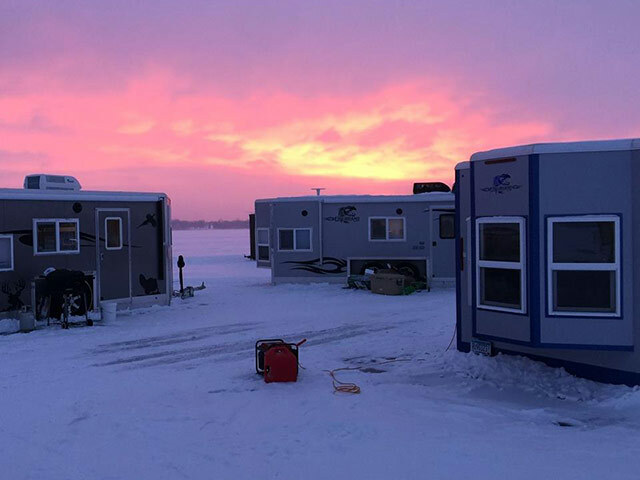 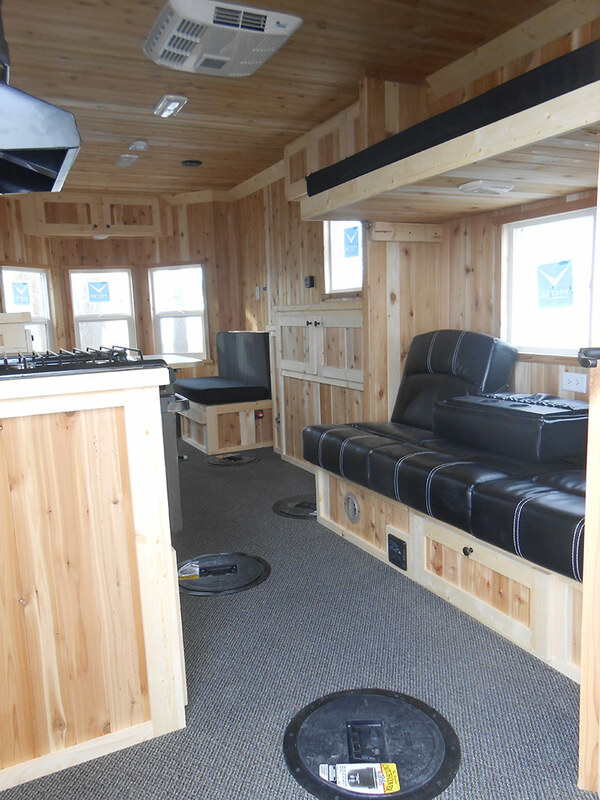 Our finished ice houses are available in several models to make your ice escape your life escape! 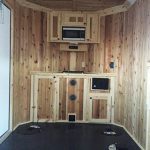 Each model includes from 4 to 6 holes, with the option to install more. 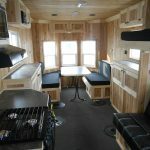 Tongue-and-groove cedar interiors with carpeted floors, kitchen facilities, and dinettes that convert to beds with storage, give these cabins all the comforts of home. 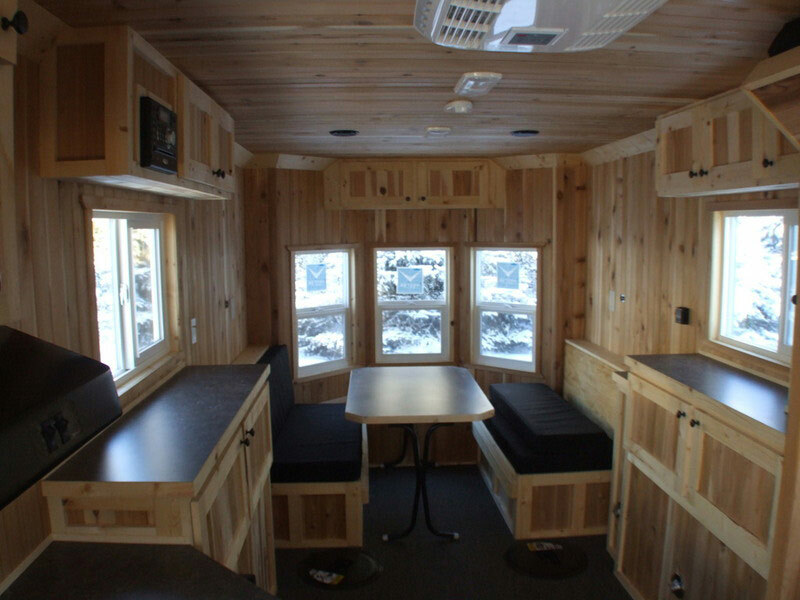 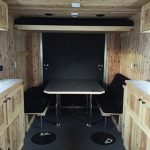 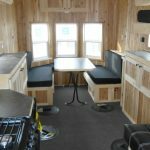 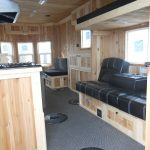 Add in options such as a bathroom, sofa, air conditioner, microwave, and DVD player, and you’ve got a lightweight, durable, portable, all-season family get-away! 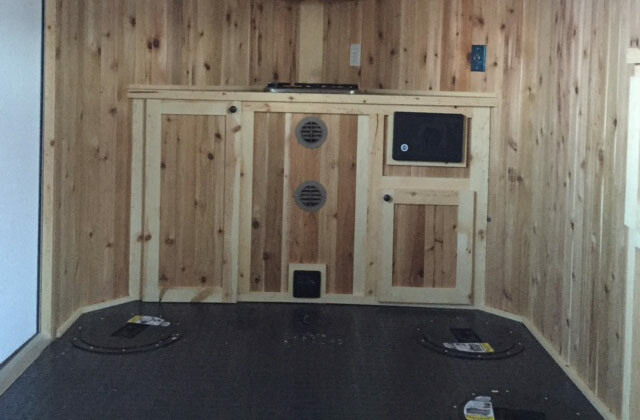 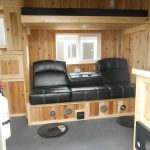 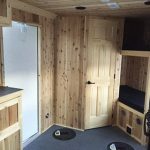 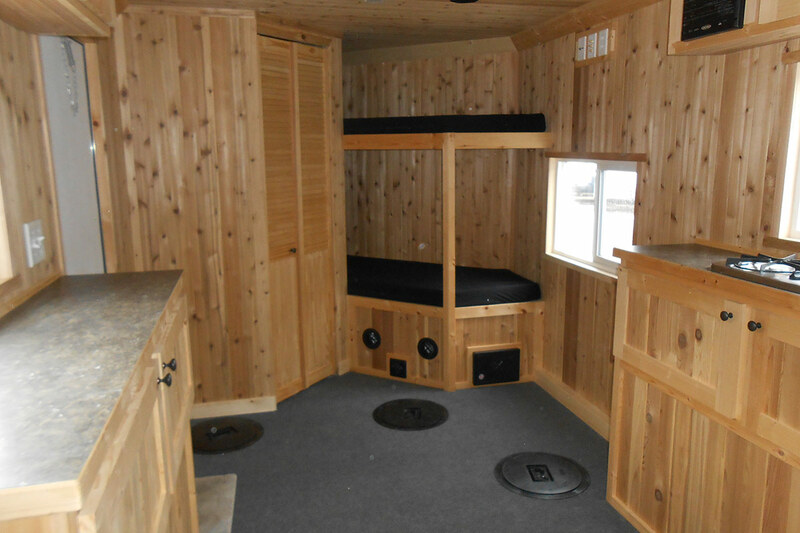 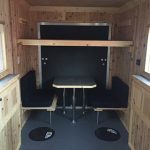 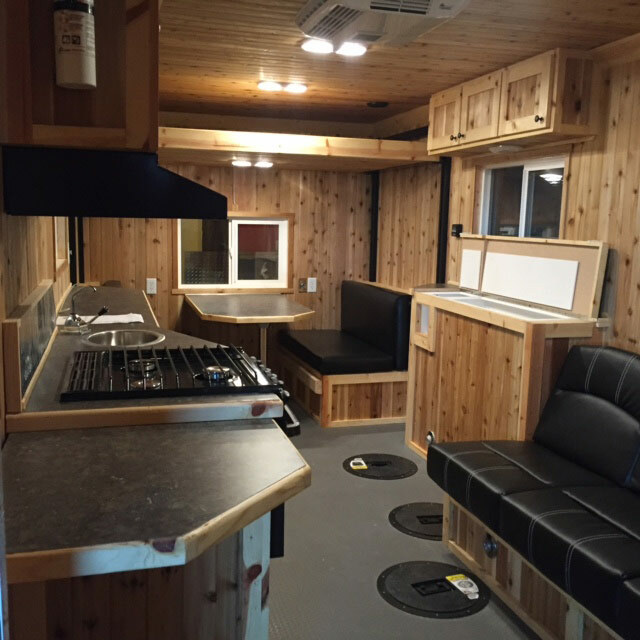 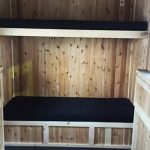 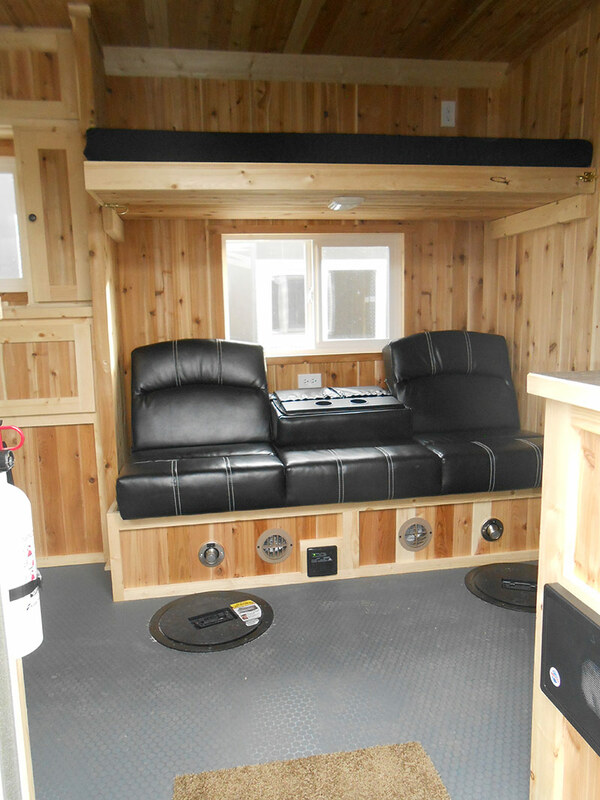 Call one of our trusted dealers today to learn more about customizing your Firebrand Fish House!